Procrastination is one of the biggest problems with weight management goals. We get stressed out and we reach for our favorite comfort food. Other things are more important today we’ll exercise tomorrow. Doing some EFT for procrastination may be helpful if you have this problem. Even though I can’t stop procrastinating, I deeply and completely love and accept myself. Even though I don’t feel like exercising, I deeply and completely love and accept myself. Even though I don’t feel like exercising, deeply and completely love and accept myself. (eyebrow) I don’t feel like exercising. (side of eye) I’ll start tomorrow. (under eye) I just can’t seem to get started. (nose) I am resisting getting started. (chin) I don’t feel like it. (collarbone) I should be exercising. (under arm) I know I will feel better if I exercise. (eyebrow) I don’t want to exercise right now. (side of eye) Yes I do want to release excess weight. (under eye) I’m feeling helpless and stuck. (nose) I know I need more exercise. (collarbone) I am tired of thinking about it. (under arm) I’m tired of always putting this off. (head) Release and let go of the procrastinating. (eyebrow) I want to get moving. (side of eye) I choose to get moving. (under eye) I step out of my habit of procrastination. (nose) I choose make better choices with my time. (chin) I feel good when I exercise. (collarbone) I choose to move forward in a way that feels good to me. (under arm) I enjoy eating healthy and exercising. (head) I choose to eat healthy and exercise today. Motivation oil blend is another one of my favorites. Just as the name implies, it energizes and motivates. I love this oil whenever I am having trouble getting motivated to do any task. Motivation oil is an absolute MUST before I exercise. It helps me get started but it also helps me stick with the exercise longer. This is one I admit I need to use more for exercise. I tend to get focused on other projects and exercise is not always my priority. I like to put motivation on my throat area. I put just a drop on my finger, then rub it in the center. Motivation oil is AWESOME with EFT. Just add 2 drops to your fingertips before you begin tapping the points. Try the EFT for Motivation Tapping Session in the video below. I use Emotional Freedom Techniques every day. I really love it for clearing all kinds of issues that would hold me back. I have cleared lots of fears including a fear of flying. I have released anger and relieved stress and anxiety and a bunch of other negative emotions. I always add essential oils to EFT sessions to enhance the process. 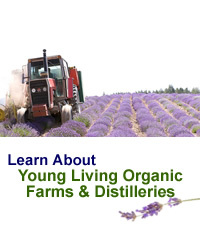 Young Living has several wonderful essential oil blends that work well with emotional issues. They are very mood uplifting and very powerful when dealing with emotional issues. One of my favorite oils to use with Emotional Freedom Techniques is Release essential oil blend. Release oil blend combines uplifting, calming oils that stimulate a sense of peace and emotional well-being, which in turn facilitates the ability to release anger and frustration. Release promotes harmony and balance in the mind and body, and helps eliminate the adverse effects of repressed emotions on health and wellness. Place three to four drops of Release oil blend over the liver or on the sternum for a grounding effect, and feel increased emotional strength as you let go of the past once and for all. I have had a couple people tell me that they feel the urge to talk and unload about whatever is bothering them whenever they use Release oil. This just seems like an obvious choice when doing EFT. It is a great one for releasing negative emotions but especially anger. Apply 1 - 3 drops of Release oil on your fingertips, then tap on the Karate Chop Point with the oiled up fingertips. 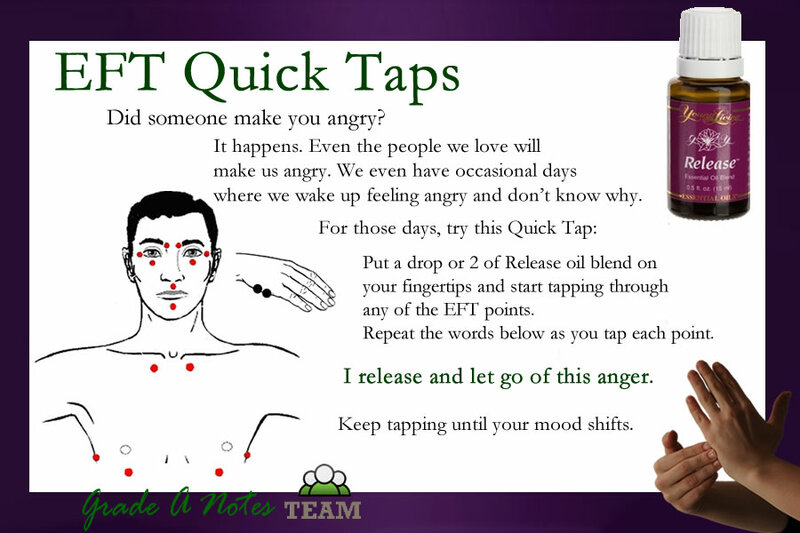 As you are tapping the EFT Points, you will have enough remaining oil to carry to all the other points. I really love using Release oil for the "Tap While You Gripe" technique. Just tap and talk until you have unloaded all the negative feelings. It's so liberating. Try Release oil blend with the EFT session below on releasing negative feelings you feel. Abundance oil blend is my favorite oil of all Young Living’s oils. Abundance oil blend is the reason I am a distributor with Young Living Essential Oils. It is a very uplifting oil that smells wonderful, but Abundance oil blend also attracts abundance. I have seen it over and over in my life and especially in my business. Abundance oil is one that we really need, especially in the times we are living in with the economic situation the way it is. If you are familiar with the Law of Attraction, you know that what you focus on you attract more of. When you worry and stress over the economy, you hinder the abundant energy you have in your body. That makes it almost impossible to build a business or attract any kind of abundance. I have seen the Law of Attraction working from both sides. I see it today in my prosperous business but years ago, I went through a time where I was desperate to generate enough income to just make ends meet. That was a time of struggle financially. I was in a sales job with a home cleaning system where I had to visit people’s home to demonstrate the cleaner and only got paid when I sold one. It seemed as though I couldn’t sell one if my life depended on it. Actually, my financial life did depend on it. I didn’t understand the Law of Attraction back than but I do today. The reason I couldn’t make any sales is because I had an energy vibration of desperation. I desperately needed a sale. I was radiating that desperate energy. People could feel it. They didn’t realize it and I didn’t realize I was affecting people with my desperate energy. Here is another example – Around that same time my husband and I were traveling and doing art shows for our jewelry designs. Mark, my husband, made flameworked glass beads and I did copper enamel designs. We put them together with gemstones and made beautiful works of wearable art. We won several best of show awards with our designs and even drew crowds with Mark demonstrating glass bead making over a flame, but making enough money to create a living was a real struggle. We would often just cover show expenses. People would come in and rave about how beautiful our designs were and then just leave. Oh how I wish I had known about Abundance oil back then! Well, today I am so very grateful for Abundance oil blend. It is, hands down, my favorite oil. I use it EVERY DAY. By using Abundance oil, I become like a magnet attracting abundance. 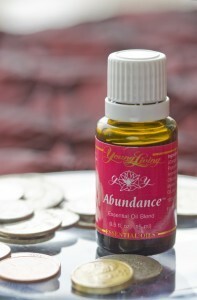 I would never consider touching anything business related without using Abundance oil first. Abundance is a blend that raises your energetic vibration to attract greater prosperity into your life. It is an oil blend that is "created to enhance the frequency of the harmonic magnetic energy field that surrounds us. This higher frequency creates the "law of attraction," a harmonic magnetic energy field around oneself. and rub together. Inhale deeply. Use Abundance oil before writing articles or blog posts. Add a few drops of Abundance oil to cleaning water, especially when cleaning your office. Diffuse it in your home office. Put a couple drops of Abundance oil on cotton balls and put them into a large container to infuse abundance into business handouts and mailings. Put Abundance oil on before business appointments. I put Abundance oil on before I go to town for any reason, especially when I go shopping. It helps me find all kinds of good deals. I have even found money on the ground several times. One time I found a bunch of money blowing around in the wind. In the process of picking it up, I saw a wallet. It had the name and address of the person who lost it. I put all the money back in the wallet and took it to him. I knocked on his door and told him I found his wallet. He was so thrilled to get his credit cards and drivers license, he gave me all the money inside as a reward. If you are a Young Living Distributor, you should be wearing Abundance oil everywhere. It is a great conversation starter. Abundance oil smells wonderful and MANY people ask me what that wonderful smell is. That is an automatic opening to share a drop of Abundance oil and give your business card. At Young Living headquarters they added one bottle Abundance oil to every 5 gallon bucket of paint when painting the offices. They also put drops of oil on the phones in the early days. 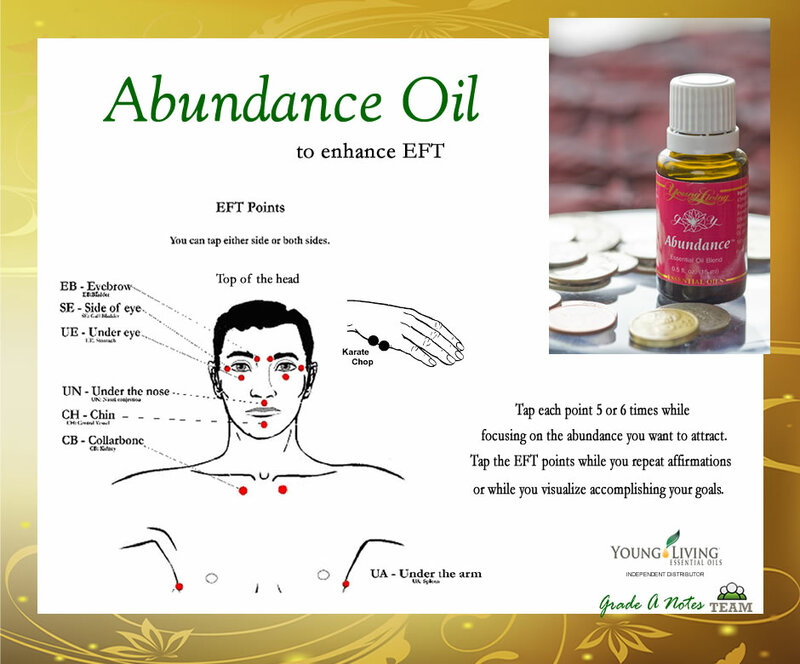 Abundance oil is wonderful used with EFT. An example of an EFT session below on attracting abundance. I am using Abundance Oil Blend with this tapping session. See the printable scripts for other options. You get the idea. In these economic times Abundance oil can be a big help in, not only surviving but THRIVING financially.